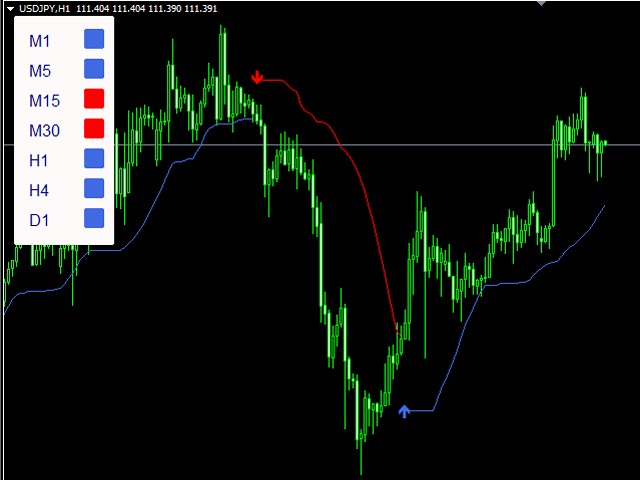 MG trend displays the trend direction for all time frames in real time. 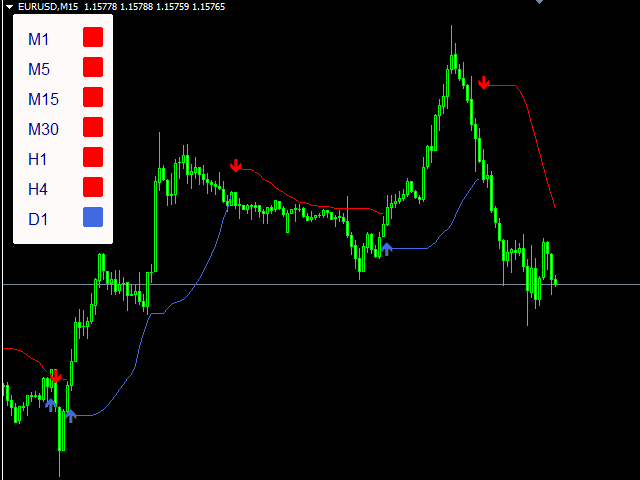 A convenient indicator for trend trading. 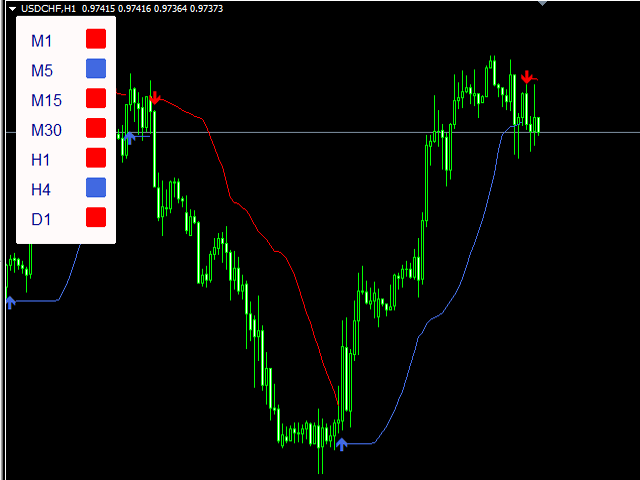 It will show an alert after closing the candle.